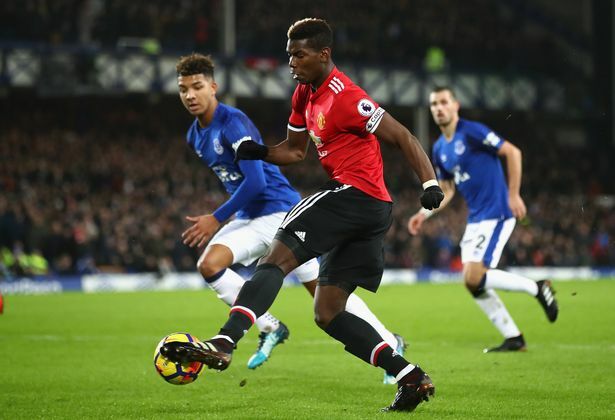 Manchester United midfielder, Paul Pogba, has revealed that manager Jose Mourinho, asked him to push forward during the second half at Everton. United won 2-0 thanks to goals from Anthony Martial and Jesse Lingard after the break. Pogba took home the man of the match award and has revealed the tactical tweak that saw them return to winning ways. “I moved a bit more forwards in the second half and we did a good job,” he told BBC Sport. “Both goals are lovely goals, the performance of the team was great, we could create more chances. If you don’t shoot you cannot score. “We played with aggression but a positive way. We knew we could score going in at half-time. We believed in it. We just had to work hard. “2018 starts very well for us, let’s enjoy it. A good win.